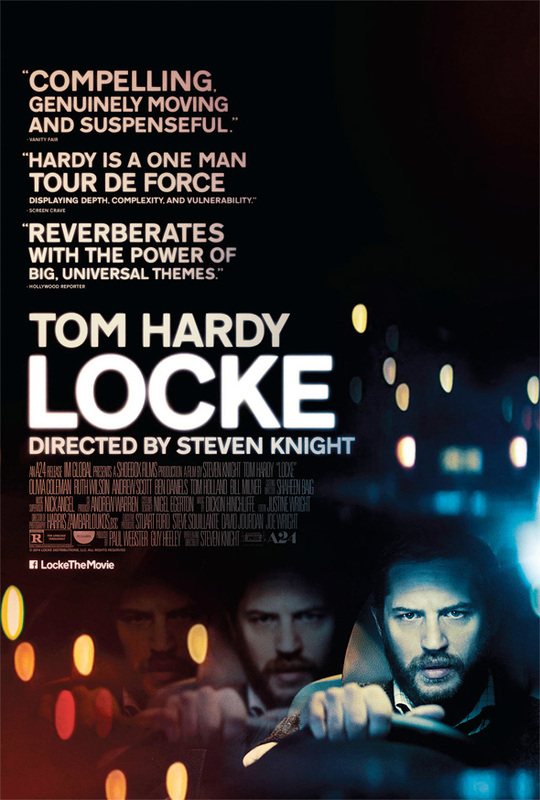 Our first glimpse at the thriller Locke came in the form of a trailer from the United Kingdom where the film hits theaters a week early, but tomorrow we'll get the first domestic trailer for the Venice Film Festival selection starring Tom Hardy. However, this thriller is unique in that it's set entirely in a car and unfolds in real time. Our own Alex Billington caught the film at Sundance and said, "This is one of those must see it to believe it unique concepts for a film, and it's actually pretty damn good." We're anxious to see just what the trailer can show off since it's all set in this one car, but until that arrives, see the poster below. Look! Hardy looks so different with a beard. Dig It. I look so magnificent on the poster, just simply beautiful.